For most home cooks, olive oil is to the kitchen cupboard what a Sunday paper is to the weekend. And for good reason – a number of studies have found that olive oil can help fight heart disease and lower blood pressure. However, here at Good Hemp we’re convinced that everything olive oil can do, hemp oil can do better. Hemp oil is often considered one of the world’s healthiest oils. It is naturally rich in omega-3 (including omega-3 SDA, which is a more potent form of the fatty acid. It has one of the lowest amounts of saturated fat and the highest contents of polyunsaturated fat amongst all the culinary oils. It contains omega-6 GLA (usually found in Evening Primrose oil) which promotes healthy growth of skin, hair and nails. It contains an ideal ratio of omega-6 to omega-3 (a balance of omegas is important to maintain optimum health; an imbalance can lead to diseases including diabetes). 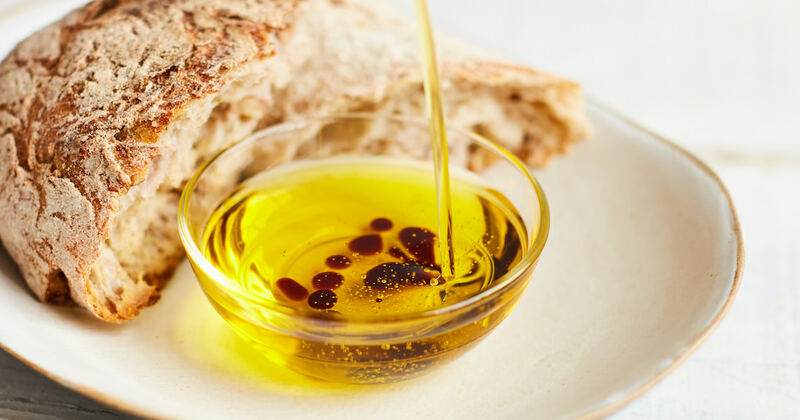 Olive oil has 40% more saturated fat than olive oil.